Texas Litter Control is a high quality, low cost spay/neuter/wellness clinic and adoption center for companion animals. Our mission is to eliminate the suffering of companion pets by preventing unwanted litters of animals entering into shelters in Harris, Montgomery and surrounding counties in Texas by: a.) educating the public on the importance of spaying/neutering and proper pet healthcare; b.) providing a low cost solution available to the general public for spay and neuter; c.) providing adoption options for fully vetted pets to the public; and d.) mentoring other animal welfare groups to open clinics in other under serviced areas. Texas Litter Control is a Texas Nonprofit Corporation. Texas Litter Control is a 501(c)3 Tax-exempt organization. All donations are deductible to the full extent allowed by law. 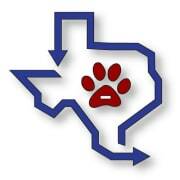 Texas Litter Control provides high quality, low cost spay/neuter and wellness services to the public. TLC has multiple cat adoption outlets to place companion animals into loving homes. TLC runs a medical unit called the Kitten Nursery. The nursery provides round the clock care to neo natal kittens who are normally euthanized at the local shelters. Would you recommend Texas Litter Control?